Here is a handy tool that can replace a spoon, fork, and spatula. 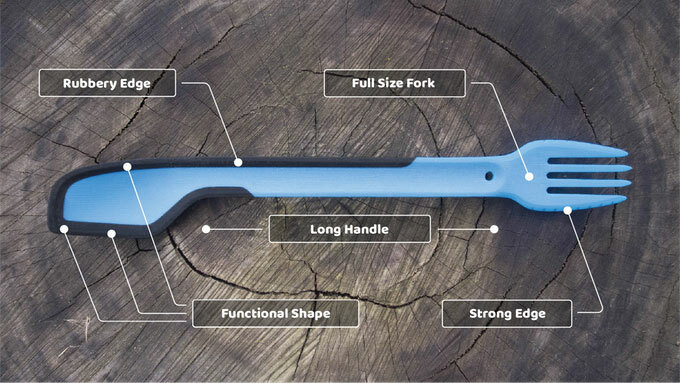 The Morsel Spork has a rubbery edge, long handle, and durable design. It comes with a full size fork. The Morsel Spork is dishwasher and boiling water safe.